“The survey indicates that awareness of the risks of VTE following orthopedic surgery are high. Patients go through at least one assessment screening for risk of VTE, with an average of two times. 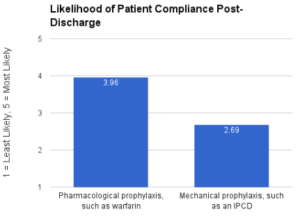 “Of note is the level to which prescription for mechanical prophylaxis, such as intermittent pneumatic compression device, drops following discharge; from 78% prior to surgery to 43% prior to discharge. 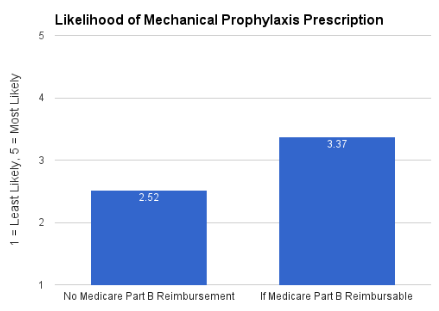 An analysis of the data shows that eligibility for such methods under Medicare Part B could be a key driver in this pattern, with respondents indicating that they would be 34% more likely to prescribe mechanical prophylaxis for their patients if it were covered by Medicare Part B. Hip and knee replacement surgeries are among the most commonly performed procedures in the US. About 1 million of these procedures are performed each year. The 30-day readmission rate following hip and knee replacement is 4.3% and 3.9% respectively. 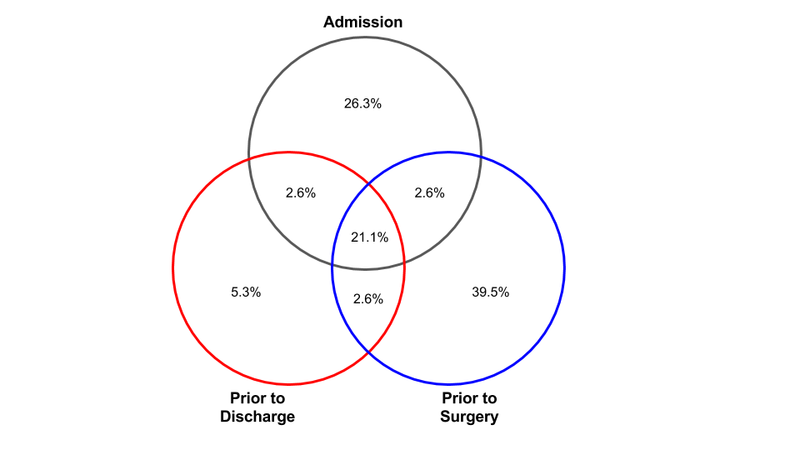 The readmission rate rises to 7.8% 90-days after surgery. 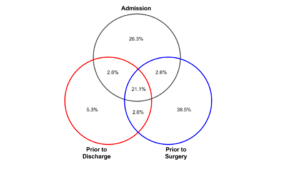 Assessment for VTE occurs prior to surgery (66%), upon admission (53%), and prior discharge (32%). Respondents were able to indicate whether patients were assessed at multiple touchpoints. Below is an analysis of at which touchpoints patients are assessed for VTE. 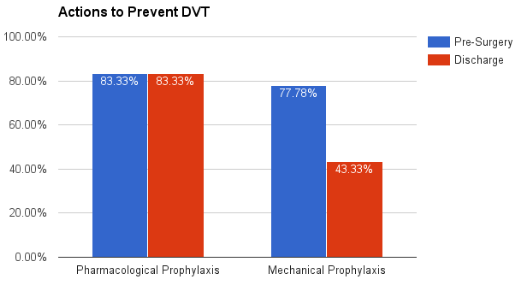 With respect to prescription rates of pharmacologic and mechanical DVT prophylaxis, the survey found that prescription rates for mechanical prophylaxis drops dramatically upon patient discharge, to 43% (compared to 78% for pharmacologic prophylaxis). Findings showed that respondents would be 34% more likely to prescribe mechanical prophylaxis such as intermittent pneumatic compression devices (IPCD) if it were reimbursable under Medicare Part B. To calculate this percentage, results were calculated using an average weighting, where w = weight of answer choice and x = response count for answer choice. The vast majority of respondents (68%) believed that the omission of Medicare Part B coverage for mechanical prophylaxis, such as IPCD, was not in the best interest of patient safety. 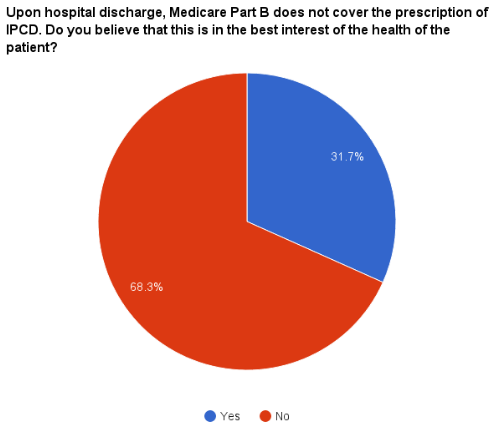 Another question was developed to understand if perceived patient compliance also plays a role in current prescription practices. The findings show that respondents believe patients are more adherent to pharmacological prescriptions compared to mechanical prophylaxis (48% increase in perceived likelihood using the same average weighting described above). The research also showed a clear need for concise recommendations available for clinicians outlining evidence-driven best practices and guidelines (71%). 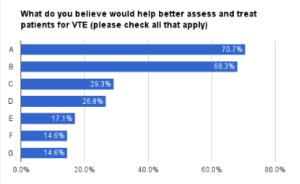 Respondents indicated that risk assessment tool needs to be developed to improve screening for risk of VTE in key patient segments (68.3%). Concise recommendations summarizing current best practices, literature, guidelines and recommendations. The survey gathered 41 respondents from across the United States and targeted patient safety experts in orthopedics. The majority of respondents indicated that they were either physicians (42.5%) or nurses (32.5%). Those who elected to identify themselves as “Other” largely fell within four self-identified professions: nurse practitioners, physical therapists, program managers, and pharmacists. About 3 in 5 respondents indicated that their primary work setting was in Orthopedics. 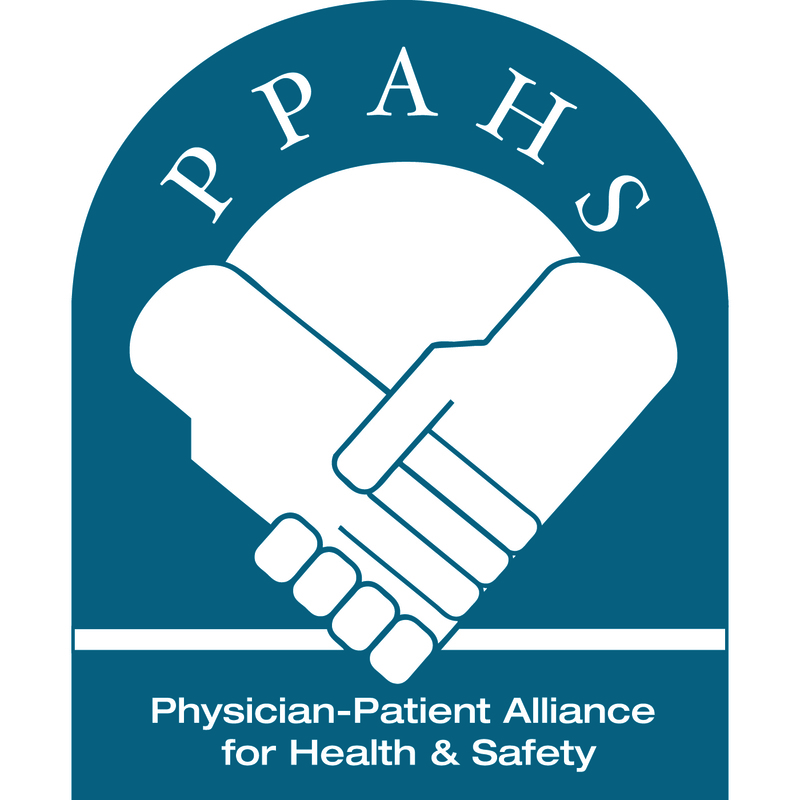 PPAHS has brought together panels of health experts to develop free clinical tools including the OB VTE Safety Recommendations and the Stroke VTE Safety Recommendations.